Majestic purple spills through the clouds and across orange hues to reflect off the ocean in another beautiful Hawaii sunset on Oahu. 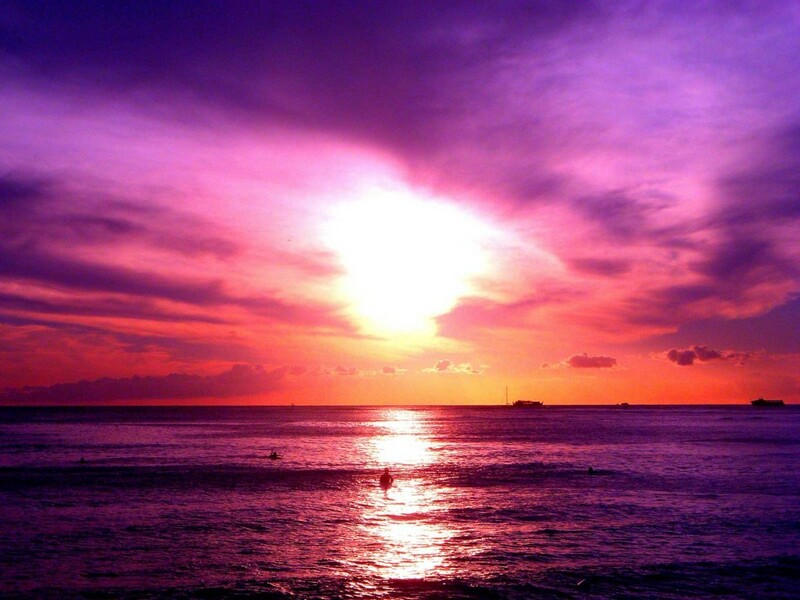 In Hawaiian the sunset glow is called “alaula,” literally meaning, “flaming road.” An apt description. Gazing into this gorgeous scene, we see ourselves taking the place of the surfer, watching the final minutes of daylight slip into the Pacific. As evening breezes sweep across the ocean’s surface, the water can be warmer than the air temperature–an ideal 76 degrees.